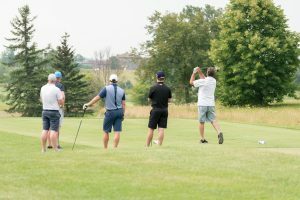 The Smilezone Foundation recently held their 6th annual Celebrity Golf Tournament at Rattlesnake Point Golf Club in Milton, Ontario. 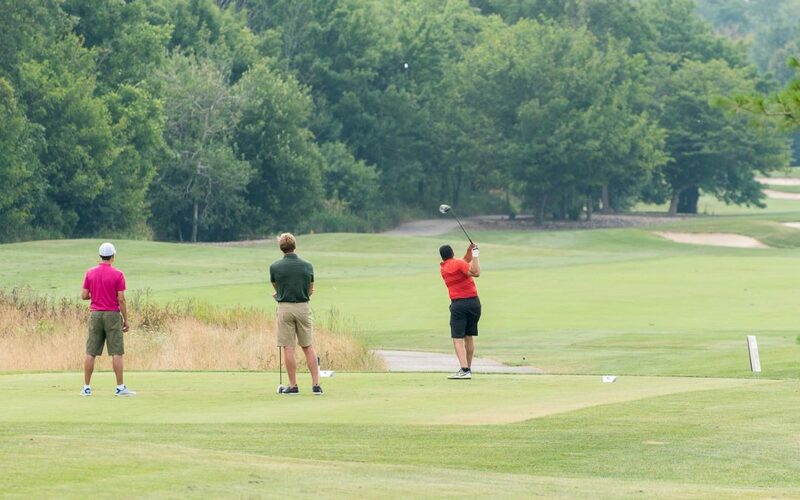 We have been a proud Gold Sponsor of the tournament since its inception in 2012. 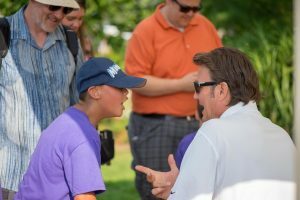 This tournament brings together celebrities, supporters, volunteers and kids to help raise money for future Smilezone’s. Our CEO Scott Bachly is a co-chair and founding member alongside Adam Graves. 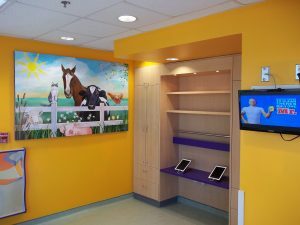 Smilezone takes old, bland spaces in children’s hospitals and treatment centres and transforms them into bright, engaging areas that make children feel safe and warm. These Smilezone’s do not cure them of their illnesses or injuries, but they do make the process easier on the kids, families and those facilitating their treatments. Smilezone gives these children a space where they can distract themselves from what is going on around them and engage in something exciting and fun. This helps them escape some of the stress and uneasiness of hospitals and treatment centres. 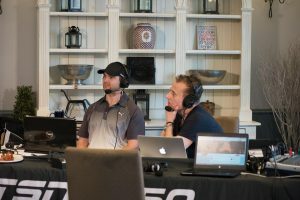 The golf tournament attracts the likes of professional athletes, legendary musicians, famous sportscaster and hundreds of non-celebrities that all have one common interest: helping children in a time of need. Each year this group of people go the extra mile to raise money for future Smilezone’s. There is a live auction and silent auction in addition to a number of table games that the guests attending the dinner portion participate in for the sole purpose of raising more money for the Foundation. A number of Bachly employee’s play in this tournament as well as volunteer, making sure it run smoothly and enjoyably for everyone. 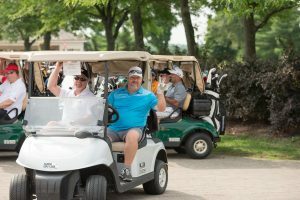 Without the phenomenal effort and organization that the Smilezone staff put into the planning of the event, the tournament would not be what it is today. With over 350 players attending the event, the Smilezone team demonstrates unparalleled skills in coordination and management. It is always such a fun environment with a great group of people in attendance. 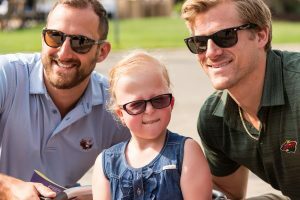 Outside of this one event, our Bachly team also provides support in building the physical Smilezone’s. With our connections in the industry and extensive knowledge and experience, we play a part in assisting with the construction of the zones. The planning process takes months, however, the installment takes only one weekend. Because the areas being transformed are essentials to the health care facilities, the construction cannot take time away from the use of the space. Smilezone and Bachy Construction’s team of trades assemble all the installments prior to taking over the area. This makes the day or two of installation move quickly and smoothly. The main priority is to create as little unit interruption as possible and turn the space around in a short time period.